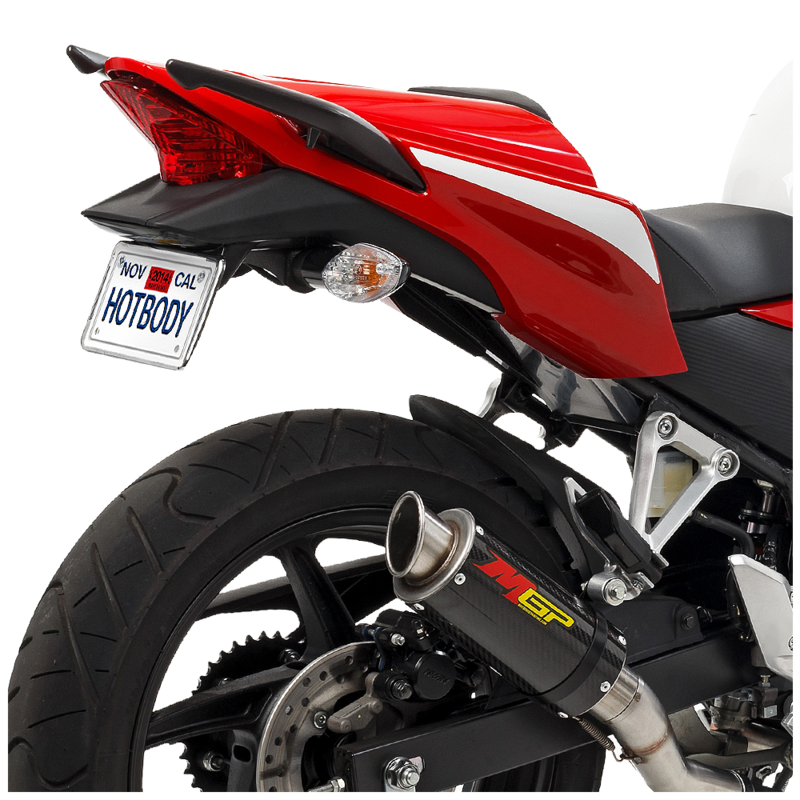 Hotbodies Racing is proud to present the TAG Bracket for the awesome little CBR300R, the perfect fit for the smallest CBR! This kit is constructed of durable ABS plastic that has been designed to work with the stock rear fender adding really clean style with a specially molded construction that allows the Eliminator’s shape to be more complementary to the bike. 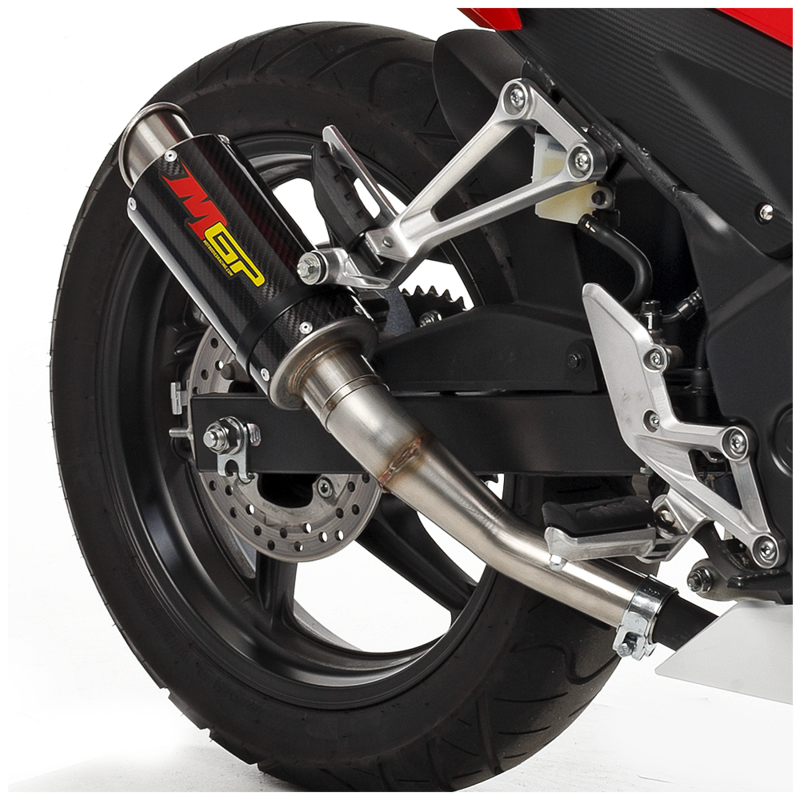 The MGP exhaust kit for the CBR300R. 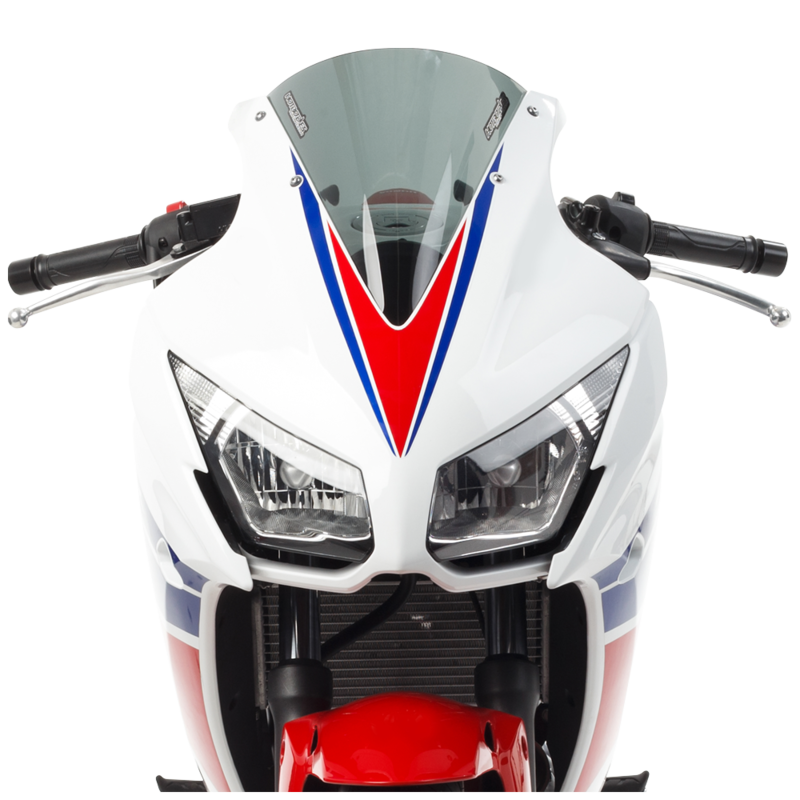 The Honda CBR300R is a sportbike that changes the definition of the middleweight class. This motorcycle introduces value, fun, and performance in a package like no other. This torquey parallel-twin exemplifies comfort for daily commuting, while keeping the fun levels up on high for the weekend. 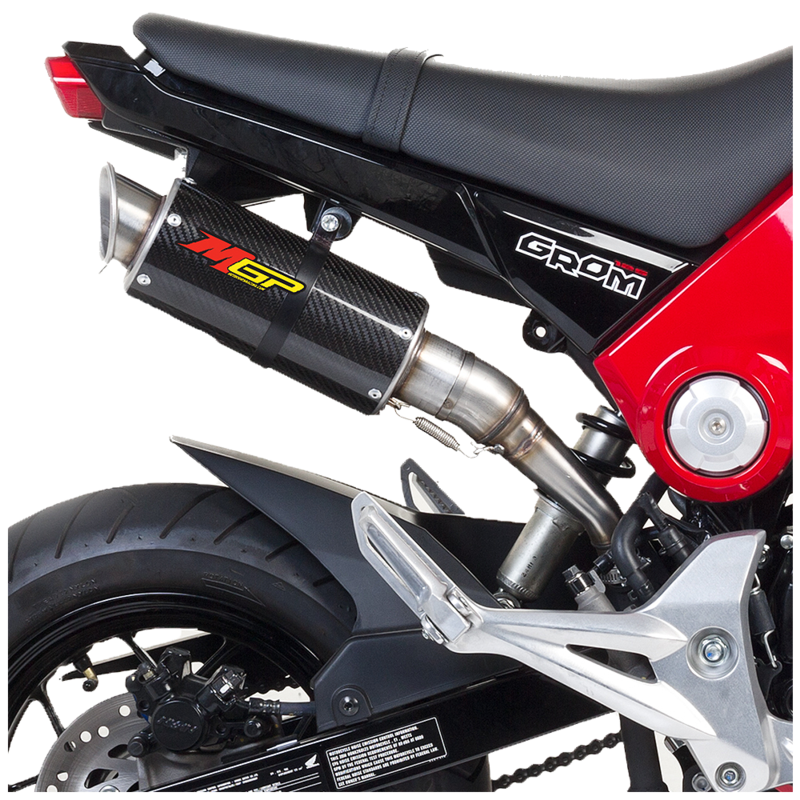 The MGP growler exhaust kit has set the benchmark for high performance slip-ons in the market. The short canister design delivers the look, sound, and value to enhance your ride to the next level. This kit features a compact carbon fiber muffler and stainless steel mid-pipe that accentuates the look of your motorcycle as well as provides substantial weight savings. Plus it will give you that aggressive competition race bike sound that everyone loves. 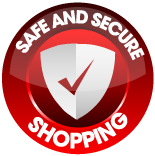 Honda CBR is a worldwide recognized brand and the Honda badge of excellence. The CBR300R proudly displays this badge of honor by drawing design influences from the 600RR and 1000RR. 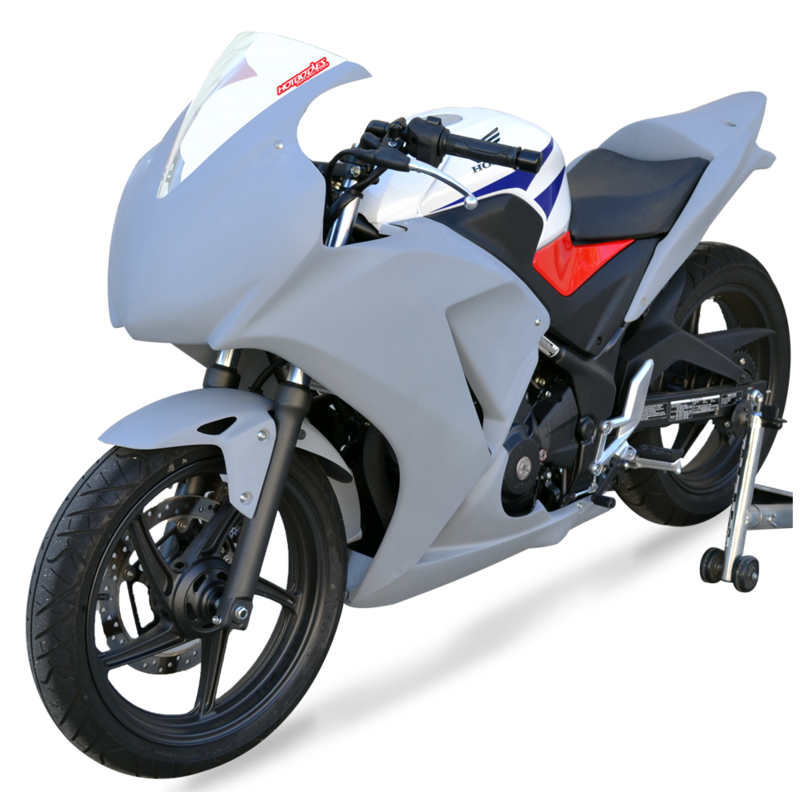 This lightweight sportbikes engine delivers power smoothly while retaining excellent fuel economy. This machine can do it all on the streets and inspire confidence on the track. 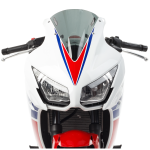 Hotbodies Racing is pleased to present the “Mask” front fairing to convert your practical ride into a head turning street fighter. 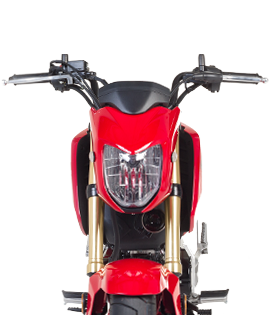 The sharp lines and pointed brow match perfectly with the Grom and gives it an enhanced style. This aggressive new look will be sure to draw crowds and demand respect. 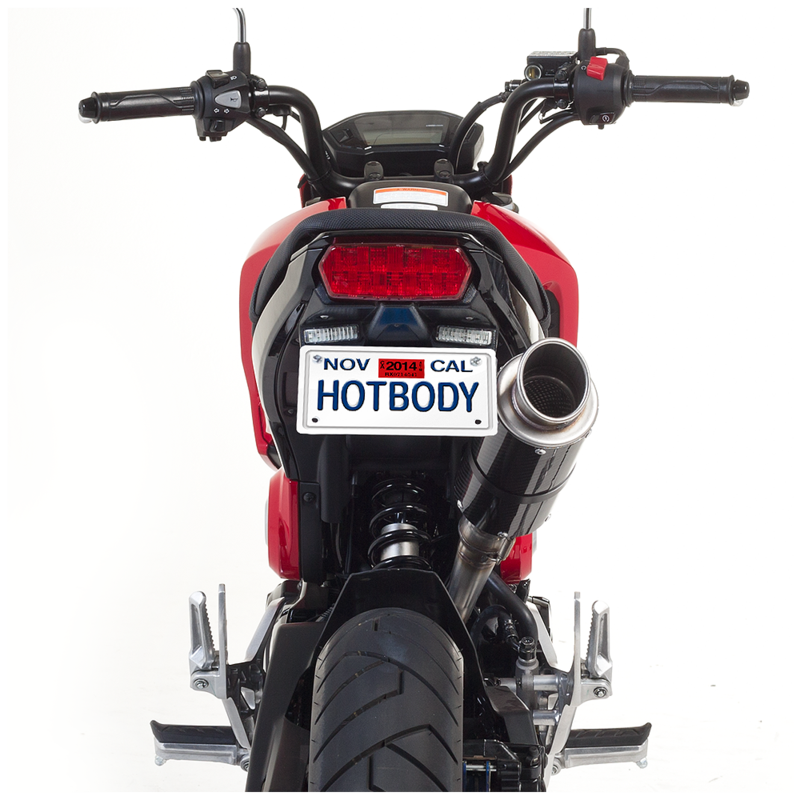 Enhance the compact aerodynamics with the Hotbodies Racing flush mount LED turn signals. The “TAG” fender eliminator for yet another great sportbike to look even greater. This Tag Bracket fender eliminator kit is specifically designed to replace your stock mud flap using your original mounting position. The Tag Bracket also features LED turn signals for a compact look and a LED license plate light to keep your plate visible. All mounting hardware is provided. 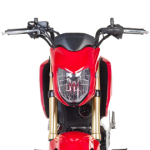 The Honda Grom MSX125 packs more fun per dollar with a fun independent style that practically suits anyone. This sporty little ride turns the streets into your playground with its big attitude and nimble handling. 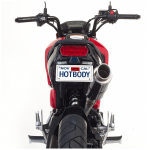 Hotbodies Racing is thrilled to introduce our personal touch to giving you that true street fighter look with this awesome canvas.The MGP growler exhaust kit has set the benchmark for high performance slip-ons in the market. The short canister design delivers the look, sound, and value to enhance your ride to the next level.This kit features a compact carbon fiber muffler and stainless steel mid-pipe that accentuates the look of your motorcycle as well as provides substantial weight savings. Plus it will give you that aggressive competition race bike sound that everyone loves.